Updated: since posting this article, it's hit the front page of Digg. 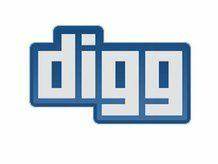 Read our analysis of the stats and what they mean for Digg 4. Since Digg came out with their much vaunted version 4 at the end of August, the social media blogs have documented in detail the trail of disaster which will surely become a case study in how to screw up a social site in business courses across the land. Most recently, statistics have begun to emerge about the drop off in traffic at Digg. There have been anecdotal stories of Digg's importance to publishers also being diminished, so I thought I'd share our experience on TechRadar. There was a time when getting a Digg front page would actually crash our servers with the sheer weight of traffic; we had to re-engineer certain parts of the site to cope. That's most certainly no longer the case. Traffic from Digg has fallen by 97% year on year, and by 86% since Digg 4 went live. Now most Digg traffic is American, and as a British specialist site that's traffic we can, commercially speaking, manage without (despite getting nearly nothing from Digg in September we nevertheless broke all our site records). Some US volume-based sites may not be so happy and it's certainly not making a compelling case for buying paid links on Digg. It seems that in trying to correct the glitches which led to Mashable and Reddit owning the Digg front page, they have now excluded most of the publishers whose content made up the bread and butter of the site. The so-called "power users" used to frequently submit our articles, but no longer have a route to do so. We don't auto-submit our articles as that seems like spam. We used to have a widget showing people which TechRadar articles were upcoming so they could vote for them, but the v4 upgrade broke that, and most of the other Digg tools. Basically, Digg is now effectively dead to us, and I'm sure our experience is not unique: of the top 20 sites contributing front page articles in the last year, only two (CNN and Mashable) have an article on the front page today. Something else to put in that case study. Liked this? Then check out When will Google buy Twitter?